Hello My name is Will Wheaton! ... and I love flowers but always struggled to paint and draw them so I took this class with hopes of becoming decent for my first flower painting. 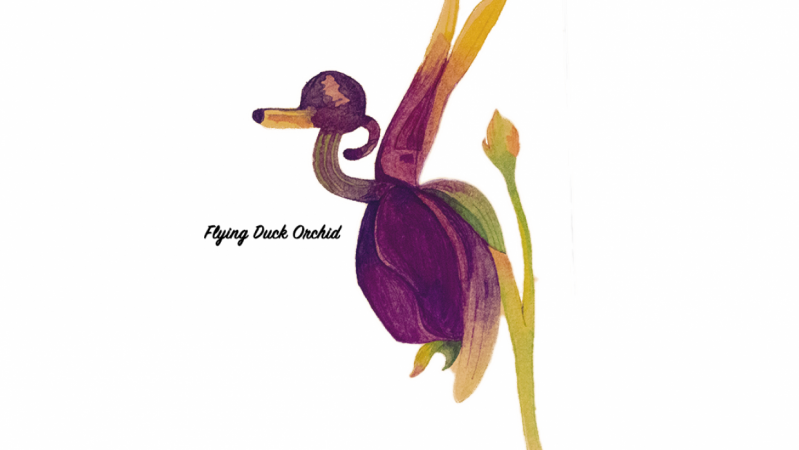 I started with a sketch of the flower I chose just like everyone, It was not my favorite flower but it was different and very unique to me, so I chose the Flying Duck Orchid. For this project I used Gouache water colors by Holbein, please tell me your opinion on the brand as well as your favorite brands, I would love to share thoughts with you. During the upload process I tried uploading the different levels of my project so I could share my progress with you all but for some reason my uploads would rotate themselves to the side. However my final project is here below. The text and white back ground have been added upon scanning my original artwork. Please give me any and all feedback possible, I truly ant to get better and know that this is my first flower work and not my best flower work... but I promise I did my best when creating this.